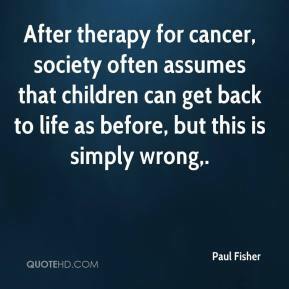 After therapy for cancer, society often assumes that children can get back to life as before, but this is simply wrong. 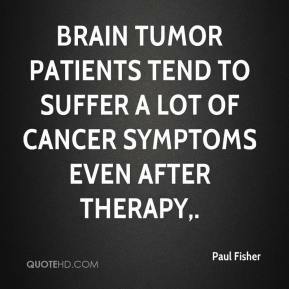 Brain tumor patients tend to suffer a lot of cancer symptoms even after therapy. 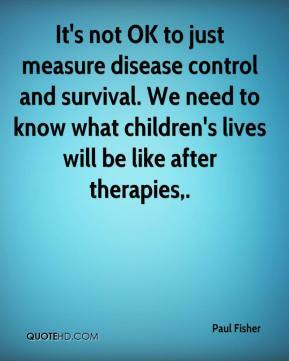 It's not OK to just measure disease control and survival. 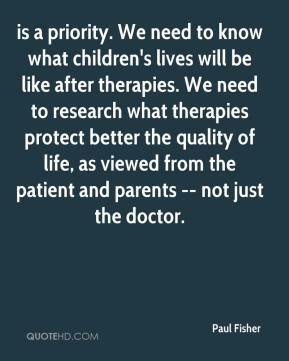 We need to know what children's lives will be like after therapies. 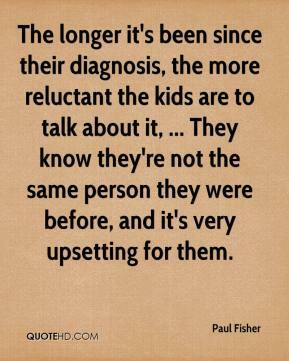 The longer it's been since their diagnosis, the more reluctant the kids are to talk about it, ... They know they're not the same person they were before, and it's very upsetting for them. 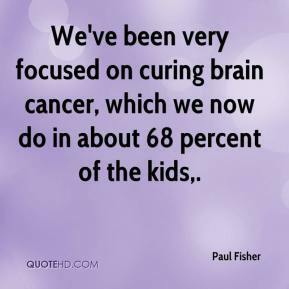 We've been very focused on curing brain cancer, which we now do in about 68 percent of the kids. She was a well-rounded player. 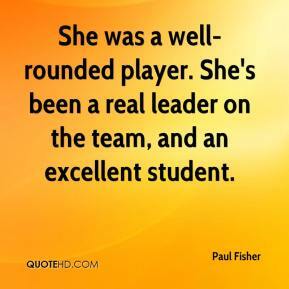 She's been a real leader on the team, and an excellent student. 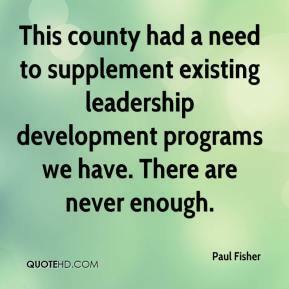 This county had a need to supplement existing leadership development programs we have. There are never enough. He shows people how to do the tricks we sell. 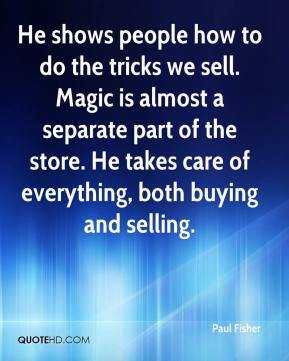 Magic is almost a separate part of the store. He takes care of everything, both buying and selling. 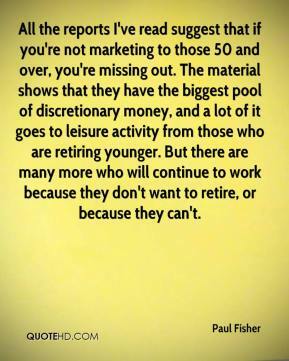 All the reports I've read suggest that if you're not marketing to those 50 and over, you're missing out. The material shows that they have the biggest pool of discretionary money, and a lot of it goes to leisure activity from those who are retiring younger. But there are many more who will continue to work because they don't want to retire, or because they can't.